Physical therapist works with individuals who have a neurological disorder or disease. These include Alzheimer’s disease, ALS, brain injury, cerebral palsy, multiple sclerosis, Parkinson’s disease, spinal cord injury, and stroke. Common impairments associated with neurologic conditions include impairments of vision, balance, and ambulation, activities of daily living, movement, speech and loss of functional independence. Physical therapists diagnose, manage, and treat disorders and injuries of the musculoskeletal system including rehabilitation after orthopedic surgery. This speciality of physical therapy is most often found in the out-patient clinical setting. Orthopedic therapists are trained in the treatment of post-operative orthopedic procedures(TKR, THR), post fractures stiffness, acute sports injuries, arthritis, sprains, strains, back and neck pain, spinal conditions and amputations. Joint and spine mobilization/manipulation, therapeutic exercise, neuromuscular re-education, hot/cold packs, and electrical muscle stimulation (e.g., cryotherapy, iontophoresis, electrotherapy) are modalities often used to expedite recovery in the orthopedic setting. Physical therapy assists in early detection of health problems and focus on improving gross and fine motor skills, balance and coordination, strength and endurance as well as cognitive and sensory processing/integration. Children with developmental delays, cerebral palsy, spina bifida, or torticollis, may be treated by pediatric physical therapists. 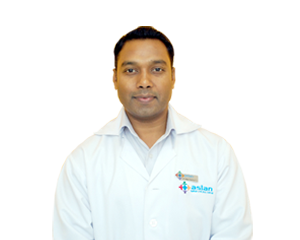 Physical therapist help to restore and maintain functional abilities by preventing chest and other complications like atelectasis, collapse lung, DVT, muscle and joint contractures etc and in general surgical conditions emphasis is given on early ambulation and return to acquire activities of daily living. Physical therapists provide ante-natal care and post-natal care and exercise programmers to maintain, restore and strengthen the functional mobility during pre and post delivery and in other gynecological surgical conditions. Geriatric physical therapy covers a wide area of issues affecting many people as they grow older which includes: arthritis, osteoporosis, cancer, Alzheimer’s disease, hip and joint replacement, balance disorders, incontinence, etc.